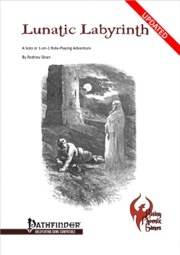 "Lunatic Labyrinth" is a solo or one-on-one adventure, compatible with the Pathfinder Roleplaying Game. 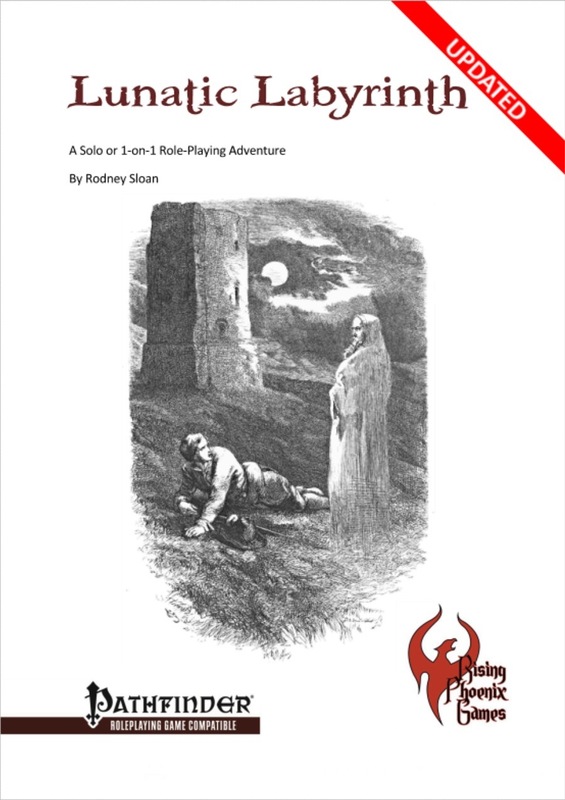 It's meant for one character of level one or two and includes a useful labyrinth tool to facilitate entertaining and challenging solo play. Now available (and welcome Rising Phoenix Games)! We've updated the adventure to add new text and a map tile to play out the encounters with.